This Friday, Bryon Kataoka – CTO of iSOA Group – will join IBM to present & discuss iSOA Group’s experience helping API Connect customers upgrade from APIC v5 to APIC v2018. This webcast series is designed just for IBM Cloud Integration & Development product users. 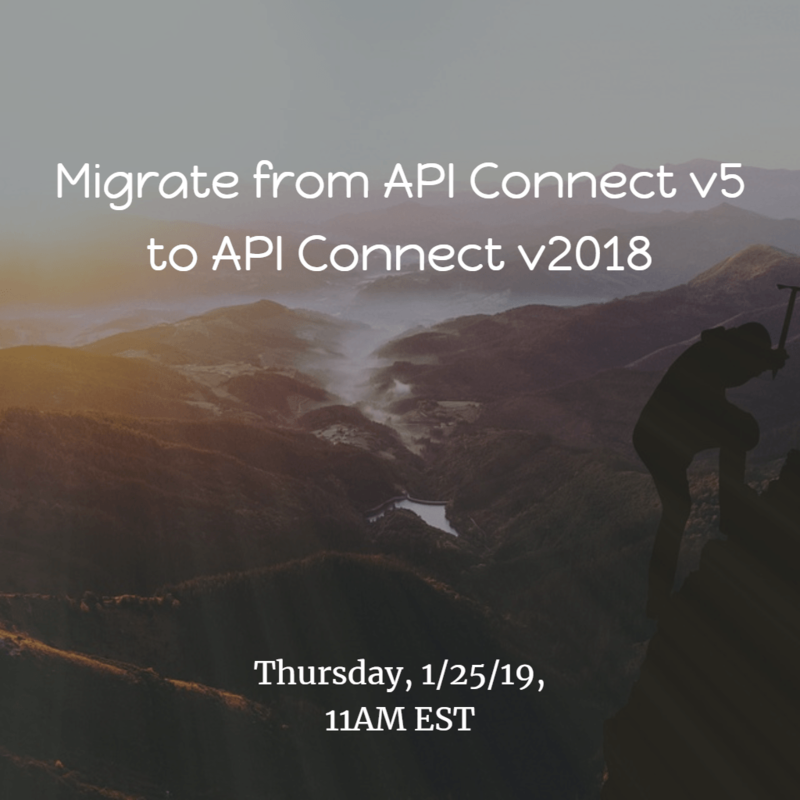 Every week one of our experts provides a 20-25 minute overview on a particular HOT topic related to the Integration & Development product family, including MQ, API Connect, DataPower, App Connect, and Aspera. This webcast series is designed to provide brief, easily digestible content on functionality, emerging use cases, best practices, recent announcements, and client successes. Attend these short educational webcasts to learn how you can better leverage the Integration & Development portfolio in your organization, discover new areas of applicability and enable you to maximize the value of your investment. Want a copy of the deck? We will be posting it on the blog following the presentation on Friday.